A plane full of euros is sitting at Sheremetyevo airport. As reported by a Moskovsky Komsomolets correspondent, the banknotes, which amount to around $27 billion, have been in the airport for six years, and no one can claim them. Sheremetyevo's shipping bill indicates that on board an aircraft arriving from Frankfurt were 200 wooden pallets of banknotes. Bank employees confirm that one pallet can hold 100 million notes in U.S. dollars or euros, making the estimated sum $27 billion or €20 billion altogether. The same shipping bill indicates that the owner is 54-year-old Farzin Koroorian Motlagh (son of Ali, as indicated in all documents). His passport information is also included. The shipping bill has the identification code of the cargo, as well as the flight number and other information. The document specifies that the plane with the billions arrived in Moscow on August 7, 2007. For six years it has been standing there, "frozen." In the airport documents, there is not a word about the recipient of the valuable cargo. A reporter, however, learned that the money was donated by Farzin Motlagh to the World of Good People All-Ukrainian Charitable Foundation. Such an organization actually does exist in Moscow: It is directed by a Russian citizen, 53-year-old Muscovite Alexander Shipilov, who is now trying to claim the money. According to the documents, the fund authorized Shipilov to claim the cargo in Sheremetyevo and register it in his name to be held at the airport (according to the documents, "until the fund changes its status from 'Ukrainian' to 'International'"). However, the contract for donating the money to the foundation was signed only on March 17, 2013. 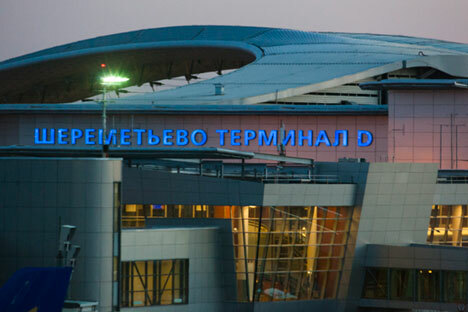 Neither the airport management nor officials will comment about what happened before this, although Sheremetyevo’s press service has denied that the money exists and is in the airport. Shipilov also has refused to talk to the media. As a journalist discovered, representatives from the foundation have appealed to several very powerful lawyers to assist them in claiming the money. They promised a fee of €2 billion, but no one took them up on the offer. The receiver could have claimed the valuable cargo in court, but they did not appeal to the court. The president of Iraq was considered one of the richest men in the world. In fact, he made the third spot on the Forbes list. After his arrest and during questioning, Saddam did not disclose where his money was kept. Sheremetyevo airport authorities denied the reports that this money was found on the airport territory.